Lava rock BBQ is very popular since lava rocks can make a great experience at the grill. 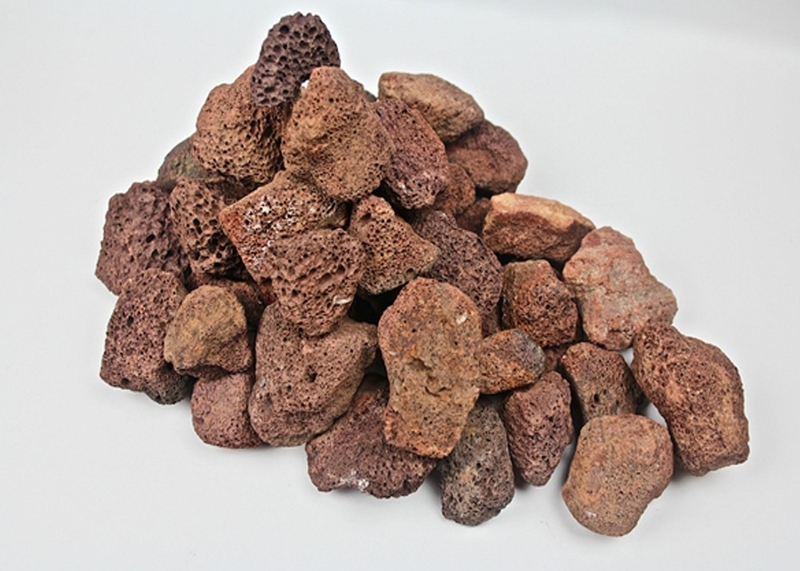 These rocks are created from volcanic blasts, and can be purchased at home improvement stores. They are often on sale during the summer months. Using lava rocks with a gas grill can help retain heat during the cooking process. Using lava rocks is simple. Start by opening up the grate and pouring lava rocks over the burners. Make sure they are in a nice, even layer with the rocks touching. They should not be stacked on top of each other. The proper amount of lava rocks depends upon the size of your grilling, but a good rule of thumb is to have a nice and even layer. It looks very attractive in your grill, too! Light the grill, close the lid and let it preheat, then begin cooking. Cook as you normally would. When you are finished cooking, turn the grill on high and close the lid to clean the grease from the rocks. This usually takes about ten minutes. When the grill cools down, turn the lava rocks over. This helps to keep them fresh and makes them last much longer. Check for any pieces that are crumbling and remove those from the grill. Dispose of them properly. Why use lava rocks? Isn’t gas enough? Lava rocks absorb, hold and reflect heat, which means that they do a much better job of keeping your grill hot as you use it. They absorb the drips from your food as it cooks, which can help avoid flare-ups. They are inexpensive compared to other things you could use for your grill, and they last for a long time, usually one to two years, depending upon how often you use for grilling. Finally, many people believe that food tastes better when it is cooked over lava rock. But there are disadvantages. Lava rocks do need to be cleaned, which seems like a real chore. The best way to clean them is to turn your bbq grill up to high, put on the lid, and let the heat melt away the grease that has collected on the rocks. Then you have to clean out the grill to get rid of all that waste. Change the lava rocks when they have a persistent greasy smell or when they start to crumble. Always scrub down the grill grates after each cooking. Never soak the lava rocks in any solution, as they absorb liquids easily and will expand and crack when they are heated. When not using your grill, always keep the lid closed and the grill covered to help eliminate moisture in the rocks. It's really a cool and helpful piece of information. I am glad that you simply shared this useful information with us. Please stay us informed like this. Thanks for sharing.